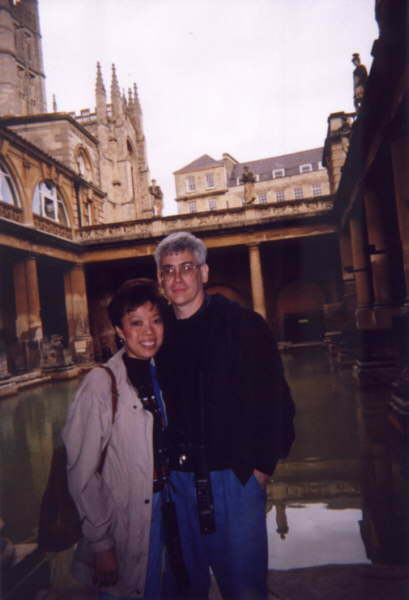 Here we are in front of the Roman Baths in Bath. This picture was taken after that time honored tradition of going up to a total stranger, begging them to take our picture, while hoping they don't run off with the camera. Of course, I always made sure that they used Zorana's disposable camera. The water up close looks murky, but you can see the steam rise off of it. I did try drinking the purified water from Bath. You can taste the minerals in it. It basically tastes like the well water that I grew up with in Indiana.